Lady Alexia Maccon, soulless, is at it again, only this time the trouble is not her fault. When a mad ghost threatens the queen, Alexia is on the case, following a trail that leads her deep into her husband's past. Top that off with a sister who has joined the suffragette movement (shocking! ), Madame Lefoux's latest mechanical invention, and a plague of zombie porcupines, Alexia barely has time to remember she happens to be eight months pregnant. 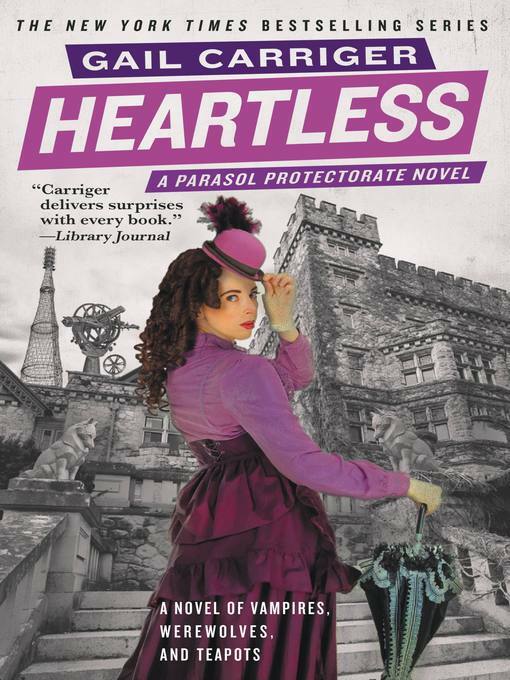 HEARTLESS is the fourth book of the Parasol Protectorate series: a comedy of manners set in Victorian London, full of werewolves, vampires, dirigibles, and tea-drinking.